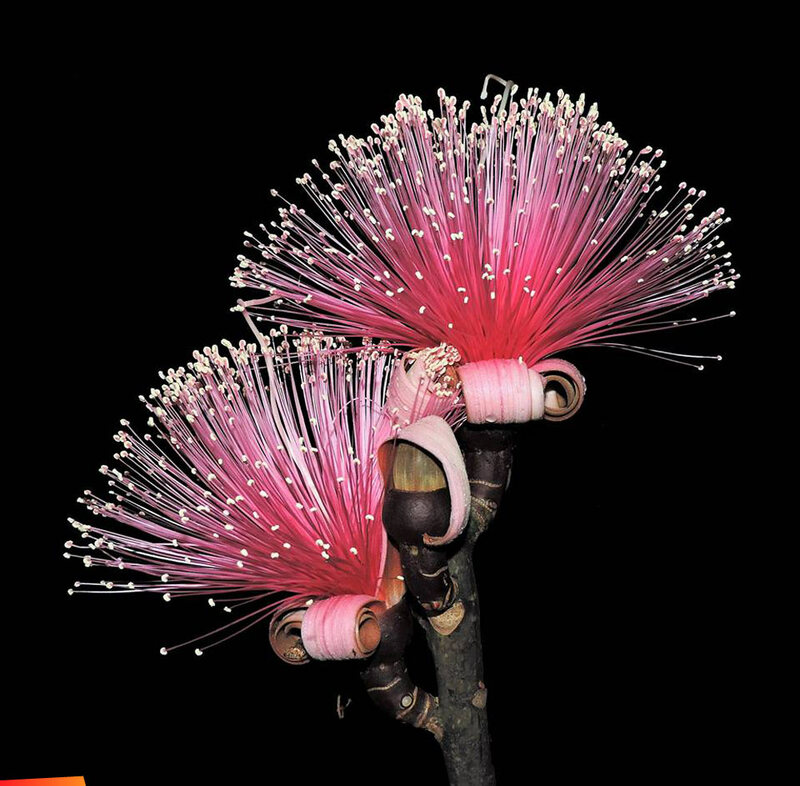 Shaving Brush Trees (Pseudobombax ellipticum) in bloom. Stunted small 5-7 ft tall - planted from cuttings and still struggling with getting established proper root system. But the flowers!!!!! Mine will not have cuttings before in a couple of years - maybe I can collect seeds, but if not then there is the same tree where I got cuttings. Hummingbird Highway about 1 mile after Middlesex primary school - over the first hills - then a small shop on your left. He got a big tree.